Dr. Flynn started his career with the Dupont Company in 1968. While at Dupont he served in a variety of positions starting in research, quickly moving to manufacturing and then on to marketing and sales. In 1973, he was asked to return to Wilmington, Delaware to become COO of the city. Dr. Flynn served for four years, improving the management processes of the city by reducing costs and underperforming programs, as well as working with the State government to restructure the city’s financial base. Dr. Flynn joined Touche Consulting in 1977, and has served as Managing Director of the Philadelphia, Pennsylvania office since 1987. There he was responsible for the growth and profitability of the practice and led it through significant growth as well as the merger of the Deloitte firm and the Touche firm. From 1995 until 1997, Dr. Flynn took a sabbatical from consulting to serve as President and COO of Rollins Environmental Services, Inc. (RES), a $250 million New York Stock Exchange Company headquartered in Wilmington, Delaware. As the President and COO of RES, Dr. Flynn’s main responsibility was to improve shareholder value and to expand the focus of the company to that of a full services provider. He then coordinated a merger between Rollins and Laidlaw Environmental Services, Inc., the industry’s two largest firms. In 1997, Dr. Flynn returned to Deloitte Consulting as Managing Director in Philadelphia. He also assumed worldwide responsibility as a Global Practice Director. In this position, Dr. Flynn directed the firm’s consulting to the Pharmaceutical Medical Devices Industry in more than 20 countries. Upon retiring from Deloitte Consulting, Dr. Flynn helped Banister International expand its professional services business into the healthcare search business to Healthcare Resource Solutions. He recently retired from this business, but still serves on a number of public and private boards. Dr. Flynn received a Ph.D. in Chemical Engineering from Princeton University and a B.S. with honors in Chemical Engineering from the University of Delaware, where he was a member of the Omicron Delta Kappa Leadership Society. He currently serves as Chairman of the State of Delaware Cash Management Policy Board, active member of the Nature Conservancy, Biovid Inc., and Archmere Academy as well as a member for the Biomedical Engineering Advisory Council at the University of Delaware. He has been married for 49 years to his wife, Mary Lou, and has two sons and 4 grandsons. Mr. Marvin is a founding partner of Marvin and Palmer Associates Inc. which was founded in in 1986. Before forming M&P, Mr. Marvin worked at E. I. du Pont de Nemours & Company. Mr. Marvin served for ten years as Vice President in charge of the $10 billion internally managed DuPont pension fund. Before he worked at DuPont, he worked at Investors Diversified Services (now a part of Ameriprise Financial). Mr. Marvin focuses on global equity investments and currencies and is a member of the Management Committee. Together with Stan Palmer, he founded the firm in July 1986. Prior to starting Marvin & Palmer Associates, Mr. Marvin served for ten years as Vice President in charge of the $10 billion internally-managed DuPont Pension Fund. Preceding his employment at DuPont, he worked for Investors Diversified Services as the Head Portfolio Manager for the IDS Stock Fund, the largest equity mutual fund in the United States at the time of his tenure. He started in the investment business in 1965 as a securities analyst for Chicago Title & Trust. Mr. Marvin earned his M.B.A. from Northwestern University and B.S. from the University of Illinois. He is a CFA charter holder and a member of the CFA Institute. Commissioner Karia was appointed to the Public Service Commission by Governor Jack Markell in May 2015. He is a former Finance Director for the City of Dover, Delaware, and currently is an Adjunct Professor in the College of Business at Wilmington University in Dover, Delaware. Mr. Karia is a member of the Capitol City Rotary Club and former Treasurer of the Hugh O’Brian Youth Leadership Program. Mr. Karia served as Director and Audit Committee Member since 2008 for AVATAR Insurance Company LTD in Tampa Florida. From 2002 until 2009 he serves as president of MK Consulting Inc. 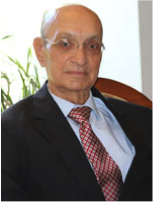 In 2009 he took the role of Treasurer of MK Consulting Inc.
Mr. Karia was appointed to the Clean Water Advisory Council from 1996 until 2009. In 20011 he was appointed to the State of Delaware Cash Management Board. His educational background is as follows: M.B.A. in Finance at Fairleigh Dickinson, M.Com. in Advanced Accounting at Gujarat University, L.L.B. Bachelor of Laws at Gujarat University, and a B.Com., in (I wouldn’t know) from Gujarat University. He resides in Dover, Delaware with his family. 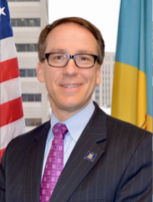 Mr. Warren Engle serves as a Director and Officer of the Delaware Community Development Corporation, and Director of the Cash Management Policy Board for the State of Delaware where he chairs the Banking Subcommittee. Warren C. Engle retired from PNC Bank as a Senior Vice President and corporate banker after a 40-year banking career. He also served as President and CEO for Sun National Bank, Delaware, and was a member of the senior management committee for the parent Sun Bancorp, Inc.
Mr. Engle was Vice President and Division Manager for Wilmington Trust Company, where he served in various capacities. Mr. Engle was an adjunct finance professor at the University of Delaware College of Business and Economics for more than a decade. Mr. Engle also chaired the PNC Bank Public Affairs Committee, and was a member of the Delaware Bankers Association government affairs committee. In addition, he served on the Boards of the Robert Morris Associates, the Leukemia Society of Delaware, and Brosius-Eliason Company, a privately owned firm. Additionally, Mr. Engle was active in various political campaigns and has served on several transition teams. He holds both a Bachelors and a Master’s degree in finance from the University of Delaware, where he was elected to Beta Gamma Sigma, a National Honor Society for academic performance. Mr. Engle does periodic consulting and resides in Hockessin, Delaware with his wife Jan.
Lynda Messick is an experienced banker, community leader, entrepreneur and board member. She founded and built two successful De novo banks in Delaware. As a senior executive, she developed systems, processes, policies, and facilities, and built strong management teams which drove the success of both organizations. She provided strategic and operational leadership across the organization and business expertise and guidance to the bank’s commercial clients. As a community leader and volunteer, she led several non-profits through organizational change and restructure. Lynda A. Messick was named to the County Bank Board of Directors. Messick formerly served as the president and CEO of Community Bank Delaware since it was founded in 2005. Prior to these roles she was president of Delaware National Bank, which is now Fulton Bank. In addition to her responsibilities with the Delaware Bankers Association, Messick also served as a member of the American Bankers Association’s Community Bankers Council. She currently serves on the Consumer Financial Protection Bureau Community Bankers Council, is a board member of the Federal Home Loan Bank of Pittsburgh, and is a board member of Atlantic Community Bankers Bank. Messick has attended the University of Delaware, Delaware State University and Stonier Graduate School of Banking. She affirms her commitment to the community as the chair-elect of Nanticoke Health Services Board and is an American Red Cross volunteer. Colleen C. Davis was elected State Treasurer in November 6, 2018. She was sworn into office on January 1, 2019. Colleen has a rich history of working for the First State. She served as the Treasurer for the Delaware Physician Assistant Advocacy Group (DAPA) and as a board member on the Advisory Board of Forge Life Sciences and on the Board of Delaware Maritime Education. In conjunction with these achievements, Colleen has also served as a financial consultant to large medical institutions, as well as, small independent practices. As such, she has created fiscal stability and improved positive patient outcomes, while saving millions of dollars in overall health care costs. Colleen believes in a strong community and wants to help the State of Delaware improve its quality of life. Over the years, she has volunteered locally, nationally and internationally. After Nepal was struck by a 7.8 magnitude earthquake in April 2015, she went as a physician’s assistant to help people affected near Kathmandu. Colleen is a proven leader in Disaster Relief, Medical-Surgical practices, Pediatric Advanced Life Support (PALS), Emergency Medicine, Neurosurgery and Advanced Cardiac Life Support (ACLS). 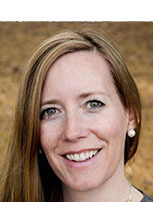 Colleen currently lives in Dagsboro, Delaware. Secretary Geisenberger was nominated by Governor John C. Carney, Jr. and confirmed by the Delaware Senate on January 18, 2017. The Delaware Secretary of Finance is the state’s chief financial officer and is responsible for promoting the State’s fiscal health through fair and efficient forecasting, generation, collection and accounting of state funds. He oversees the State’s Division of Revenue, Division of Accounting and the State Lottery Office. The Office of the Secretary is also responsible for statewide revenue forecasting, tax policy analysis, unclaimed property administration, and bond finance. The Secretary of Finance serves on several financial oversight bodies including the Delaware Economic and Financial Advisory Council, the Delaware Public Employees Retirement System Board of Trustees, the Cash Management Policy Board and the Delaware Plans Management Committee to name a few. Rick is also the Vice Chair of the Diamond State Port Corporation. Secretary Geisenberger is an Executive Sponsor of the Government Efficiency and Accountability Review (GEAR) created by Governor Carney to make annual recommendations on ways to increase the efficiency and effectiveness of State spending. 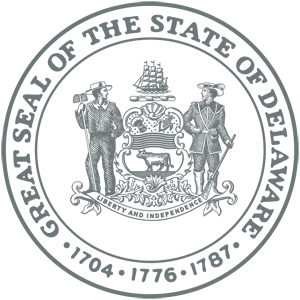 The GEAR will improve the use of strategic planning and metrics in resource allocation decisions, develop and implement cost savings ideas for shared services across State government and public education, and boost continuous improvement practices across State agencies. Rick previously served as Delaware’s Chief Deputy Secretary of State and the Director of the Division of Corporations. Delaware is known internationally as the corporate home to 66% of Fortune 500 companies and more than 80% of all U.S. initial public offerings. During his 16 years of service, the number of Delaware legal entities increased 140% and the State’s incorporation revenues doubled to more than $1.1 billion. The Division also earned ISO 9001 certification and won the Delaware Quality Award’s prestigious W.L. Gore Award of Excellence in recognition of the Division’s world-class quality management system. Before joining state government as an Economic Policy Advisor to Governor Thomas Carper, he held a variety of private sector positions in banking, finance, treasury services management, mergers and acquisitions, and strategic planning – first with Corestates Financial, then Manufacturers Hanover Corporation and later Delmarva Power. Secretary Geisenberger earned his M.G.A. degree from the University of Pennsylvania, his B.A. from Franklin & Marshall College, and has completed the Wharton Executive Program in Mergers and Acquisitions. Jeffrey W. Bullock was sworn in as Delaware’s 80th Secretary of State on January 21, 2009. As Secretary of the most diverse department in state government, Secretary Bullock oversees nearly twenty different agencies including Corporations, Historical and Cultural Affairs, Arts, Libraries, Veterans Affairs, Professional Regulation, and Human Relations. In addition, Secretary Bullock has a number of constitutional responsibilities, including serving on the Board of Pardons. He is also the chairman of the Diamond State Port Corporation, which owns and operates the Port of Wilmington. Secretary Bullock has dedicated most of his professional career to public service. In his over three years as Secretary of State, Bullock has been a transformational leader in advancing priorities in the areas of education, job creation and more efficient and effective government. Under Secretary Bullock’s direction, the Department of State continues to raise significant revenue for the State of Delaware. Through the Division of Corporations and the State Bank Commissioner, the Department contributed more than $1 billion of net General Fund revenue in Fiscal Year 2015. Secretary Bullock has a wide range of executive public sector experience, including prominent roles in leading Delaware’s two largest governments. From 1994-2001, he served as the chief of staff to Governor Thomas R. Carper. More recently, Bullock was the Chief Administrative Officer for New Castle County, Delaware’s largest county. Secretary Bullock is a native Delawarean who grew up in Claymont and holds a degree from the University of Delaware in Economics and Political Science. He lives in Wilmington with his wife, Susan Frank, and their two daughters, Kate and Caroline. 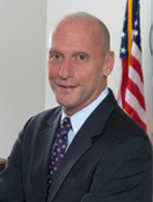 Michael L. Morton’s appointment as Delaware’s State Controller General and member of the board of directors of the Diamond State Port Corporation (DSPC) was confirmed by Delaware’s Legislative Council of the General Assembly effective July 1, 2012. The Office of Controller General is the fiscal oversight arm of the Delaware General Assembly. As such, the Office not only prepares the State’s finance legislation but also serves on several committees and boards on behalf of the legislative branch. These include the Delaware Economic and Financial Advisory Committee, the Cash Management Policy Board. Mr. Morton has served in the Controller General’s Office since 1988, most recently as the Deputy Controller General. He is a graduate of the University of Delaware with a Bachelor of Science degree in Economics and a Master’s Degree in Public Administration.